St. Simons is a dog-friendly destination. Photo courtesy of Georgia Department of Economic Development. Oceanside cycling is a favorite pastime. Photo courtesy of The King and the Prince Beach Resort. Parts of Fort Frederica, including the magazine, still stand along the marshes. Photo courtesy of goldenisles.com. The King and Prince Golf Course’s 13th hole plays off an island surrounded by marsh. Photo courtesy of The King and Prince Beach Resort. It’s another typically beautiful day on the beach at The King and Prince Resort. Photo courtesy of The King and Prince Beach Resort. Just across the Florida-Georgia line, about 40 miles north on Interstate 95, is an exit to the Golden Isles. Road warriors whizzing along I-95 may miss it—and that’s a shame. For beyond the exit are four barrier islands hugging Georgia’s coast: St. Simons Island, Sea Island, Little St. Simons Island and Jekyll Island. Although they all have stories to tell about life in the South and are blessed with sand, sea and marsh that make for a great outdoor getaway, St. Simons is the island that charms the most. Mornings are particularly special on St. Simons, where early risers who hit the beach are treated to the rhythms of the Atlantic Ocean’s roar, the firmness of hard-packed sands underfoot, and a fiery sunrise peeking out from behind wispy clouds. Complementing the idyllic outdoor setting is a lovely historic hotel: The King and Prince Beach & Golf Resort. The original Mediterranean-style main building with its turret detail and red barrel tile roof is one of those rare gems, where you can walk out the front door of your room and the ocean is just a few more footsteps away. On the lawn, Adirondack chairs and old-fashioned swings built for two invite guests to sit and sip their morning cup of joe as the day begins—or enjoy a flute of Champagne at dusk. Built in 1935, the property was named for King George II of England, who was the monarch when James Oglethorpe established the colony of Georgia, and for the king’s eldest son, Frederick, Prince of Wales. It was an elegant private club, with fashionable parlors, a ballroom, cardroom and beachfront boardwalk, until 1941 when it opened to the public as a hotel. “The King and Prince Beach & Golf Resort played a major role in the allure and mystique of the island,” says Curt Smith, a local historian with the Coastal Georgia Historical Society. However, it was the country’s post-World War II prosperity that helped catapult the resort in modern times. “As a child in the 1960s, The King and Prince was always the spot to go—the place to jump in the pool,” he recalls fondly, adding that there were also dance clubs and big bands that made the island an even more exciting destination during the 1950s and ’60s resort era. 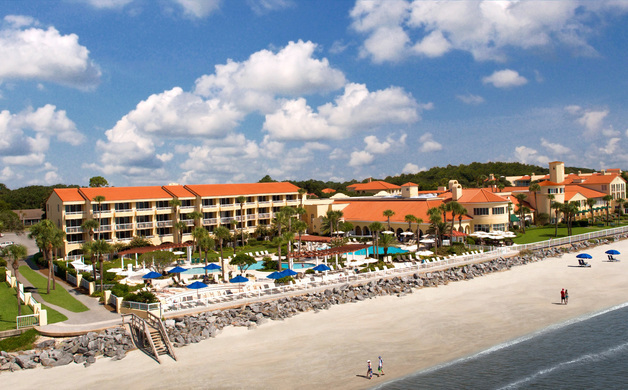 As the popularity of St. Simons grew and more visitors made their way across the causeway, the resort continued to evolve. Three-story buildings, dog-friendly units, vacation homes, a new pool complex, a massage room and the restaurant Echo were added from 1980 to 2014—blending old with new to create a full-fledged resort. When it comes to breathing in the island’s salty sea air, there’s no better way to do that than to hop on a beach cruiser and pedal along the shoreline. Just around the corner from the resort, Ocean Motion rents bicycles with big comfy seats and baskets. “St. Simons sidewalks are wide enough for both bikers and walkers,” says Nikki Lash, the shop’s manager, pointing out that you can ride along the 18-mile-long Frederica Road that traverses the island from north to south, as well as on the sands. 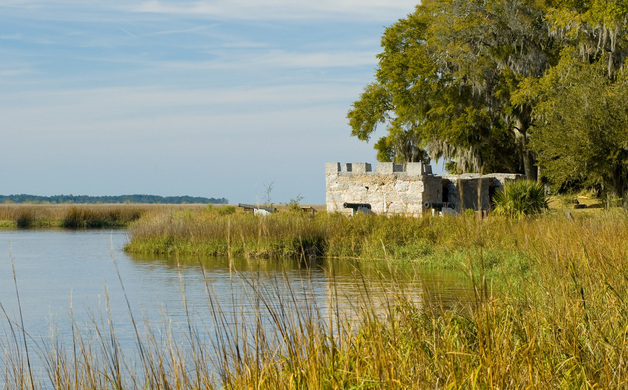 For a day outing, she recommends the hour ride to Fort Frederica National Monument. This route takes you north through the commercial area, past homes and shopping plazas hidden by woods before reaching a roundabout. Make a left and travel through a shady tunnel of granddaddy oaks with cascading Spanish moss that are the island’s signature. Eventually you’ll come upon a small white church. The historic Episcopal Christ Church was constructed in 1880 by shipbuilders. No nails were used to make the hard pine interior; joints were pinned together. Enter and marvel at the double planking and beams that resemble the hull of a ship. Adorning the walls are stained-glass windows of saints, made by the German company Meyer and Sons, and one biblical scene by Louis Comfort Tiffany. U.S. presidents George H.W. Bush and Jimmy Carter have attended services here. Continue riding west and you’ll reach the fort, perched on the breezy wetland shore of the Frederica River. The remains of the colonial town, which served as the hub for British military operations on Georgia’s frontier from 1736 to 1749, come to life as National Park Service guide Rachel Boyd tells tales from the days when Oglethorpe ruled. As she escorts visitors down what once was Broad Street, Boyd points out the original brick foundations that still stand as reminders of where the candlemaker’s house and shop stood, or the surgeon’s home and his apothecary, or the flesh market (butcher shop). “Alcohol was not allowed,” Boyd explains, “so quartermaster Patrick Houstoun would hide his bottles from his wife by burying them in the ground.” When excavating in the 1950s, the bottles were found in what would have been his backyard. Besides its oceanfront, St. Simons is surrounded by marshlands and rivers that are easy to explore by kayak, rental boat and on a sightseeing dolphin cruise. For Lash, setting out into the marshes on a nature tour can turn up some surprising moments. “Believe it or not, one time a shrimp jumped into the kayak with me,” she says with delight. Ocean Motion’s nature tours take paddlers along the tall grasses and through the waters between St. Simons’ east side and neighboring Sea Island, a member of the Golden Isles that’s considered an exclusive playground of the Southern rich. In 2004, President George W. Bush hosted the G8 Summit on the private island, known for its five-star resorts and security. For nature lovers, these brackish waters are home to oyster beds, turtles, shrimp and dolphins, and the kayak guides know the best spots to spy them. Another way to explore the waters is with Cap Fendig. A St. Simons native, Fendig and his family have been on the island for five generations. Besides running his Lighthouse Trolleys business, an umbrella company for fishing, dolphin, sunset, ghost and trolley tours, he’s served as a commissioner. There’s no doubt that Fendig knows St. Simons better than most locals. On his sightseeing dolphin tour, you can kick back and relax on a pontoon boat as it glides along the Frederica River to the driftwood-scattered shores of Jekyll Island. Fendig entertains passengers with the lowdown on island life and the history of Jekyll Island, including tidbits about the 19th-century millionaires—the Morgans and Vanderbilts—who had formed an elite club on this southernmost Golden Isle. Then he spies a fin and everyone vies for photo op positioning as he approaches the dolphins frolicking about. At one point during the cruise, Fendig and his first mate toss a net. With the help of all hands on deck, they pull in baby sea creatures—squid, cannonball jellyfish, pompano, star drum and hogfish. Passengers can touch and examine the bounty before it’s released back into the river. For the avid golfer, it doesn’t get any more challenging than playing over water or any more scenic that playing on an island. On the northeast end of St. Simons at the King and Prince Golf Course, you get both. Carved out of what was the Hampton Plantation in the 18th century, fields of cotton, indigo and rice are now coastal fairways and tees designed by golf architect Lee Jones. Accompanying Jones as he transformed the land and created four exceptional holes on a small cluster of marsh islands was Rick Mattox, director of golf at the King and Prince since 1988. 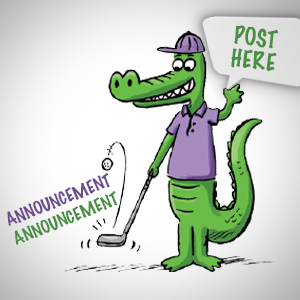 “Holes 12, 13, 14 and 15 are in the marshland. Nowadays, as you know, you can’t get near the wetlands,” Mattox says, referring to laws regarding coastal development. Connected by cart-size bridges over a tidal creek, these holes have made the course a standout. 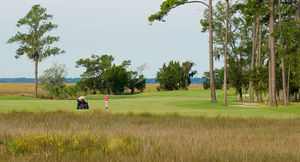 Another golf course highlight is the view of the fourth Golden Isle: Little St. Simons Island. Owned by former U.S. Treasury Secretary Henry Paulson and his wife, the private island, accessible only by boat, is home to six charming cottages. 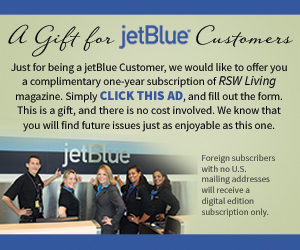 Written by Patricia Letakis, who has written extensively about Florida for the last 20 years.